Ever played the SNES gaming console, the real Macoy?! It’s epic, memories from your childhood, play original fun and golden oldie games. 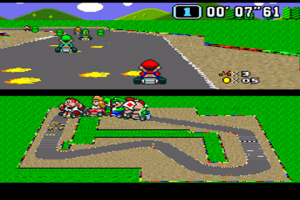 The emulator just simply turns your phone into the SNES console, download the ROMS and your free to play any SNES Game. First of all if you think gaming is all about graphics and you love the up to date games with high specs etc, the SNesoid isn’t really for you. However if you’re older than 20 years old you may remember the SNES gaming console, and despite it’s out of date graphics it’s just something that you love… Like me infact. Alternatively if you love a good game which you can sink your teeth into then the SNesoid does have something for everyone, it has plenty of games for you to play. The game play is pretty fun I must say. If there aren’t already enough games on the Market if you get yourself an emulator then it adds thousands more! Also I must add that it does have some neat added features such as save the game wherever you are. Then simply load it up real easy and continuing playing from that exact point, no checkpoints or level completes needed. It really does help because from experience some of the Snes games are really hard and they do not come with difficulty settings. Please note though that the Android gaming market has got rid of all thier emulators, god knows why… Its ridiculous! Still this gaming emulator isn’t impossible to get, head over to SlideMe website and search the SNesoid, it’s been uploaded there… It’s at the moment free too. so hurry. Once you have the Emulator I suggest you head over to DOPEROMS website, not CoolRoms. Search for SNes Roms and download them. Put them into a designated folder for your SNES games on your android device, load up SNesoid locate that folder and launch your game. Sounds complicated but its super easy. Go on try a bit of original gaming and get the SNesoid. It’s good fun and all the ROMS are tiny file sizes so there is no need to worry about memory on your phone. Even if your unsure it’s worth a try, based on my opinion I think it’s brilliant fun, good games all free… Im not complaining!